The Devil’s work…my blog has introduced and reacquainted me with many fabulous peeps. Through happenstance, my cousin Susie (sorry, I often slip back into lifelong habits…Susan) introduced her friend to ifthedevilhadmenopause.com. She, in turn, became a devoted Devil worshipper. A meet and greet was arranged. I know…you are thinking this is an odd intro to a restaurant review, but put your knives down and take a beat. Our initial encounter involved food on the streets of NYC. 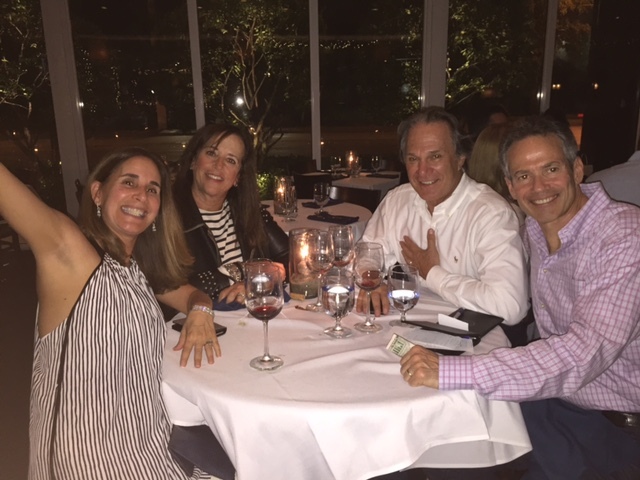 Our second interaction was over dinner in West Palm Beach, Florida with our significant others. 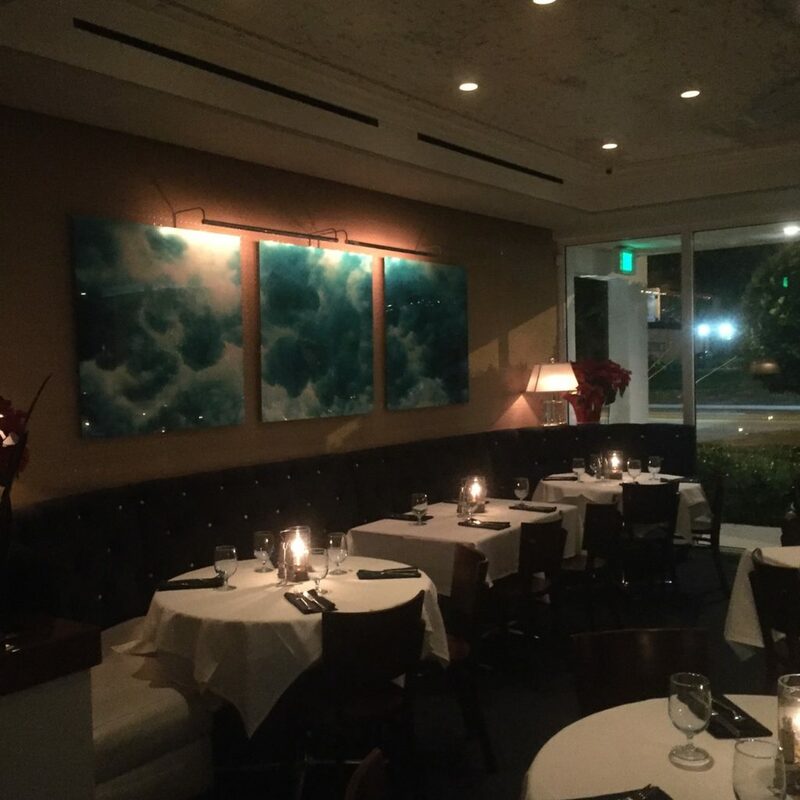 Location…Table 26 in the heart of the historical Mango Promenade district and two blocks south of the Norton Museum of Art. We got serious very quickly. Rendezvous was set for 7:15 on a rainy, humid Wednesday evening. Table 26 is small and intimate…a perfect place to further pursue the relationship. We all opted for martinis…they had me at extra olives. 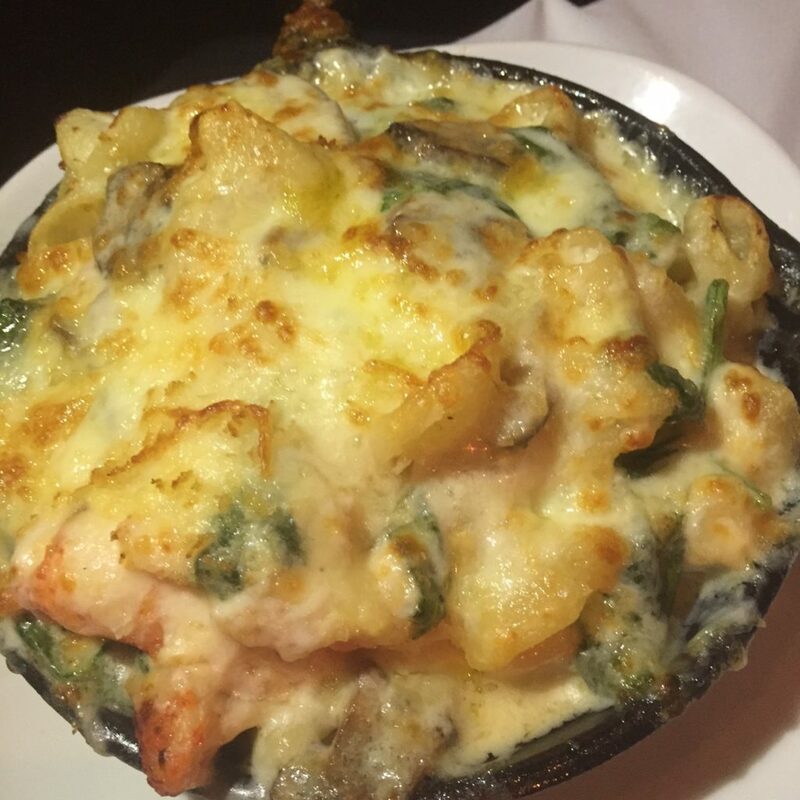 Lobster Mac & Cheese was a collective must. What a turn on. The dish was fabulous with huge chunks of lobster, mushrooms, spinach and truffle essence ($21). We shared well and parallel played respectfully. 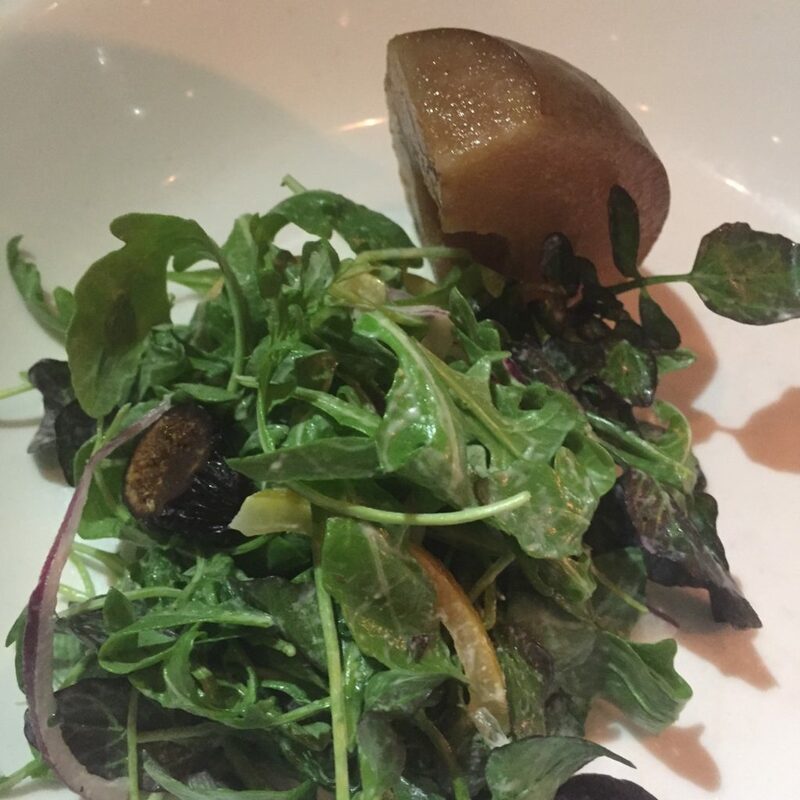 David and my opening gambit was a delectable Pear and Fig Salad with Grilled Pear, Figs, Preserved Lemon, Red Onion, Arugula, Red Watercress, Whipped Honey Ricotta and Tahini Vinaigrette ($15). The lemon peel thoroughly enhanced the salad. 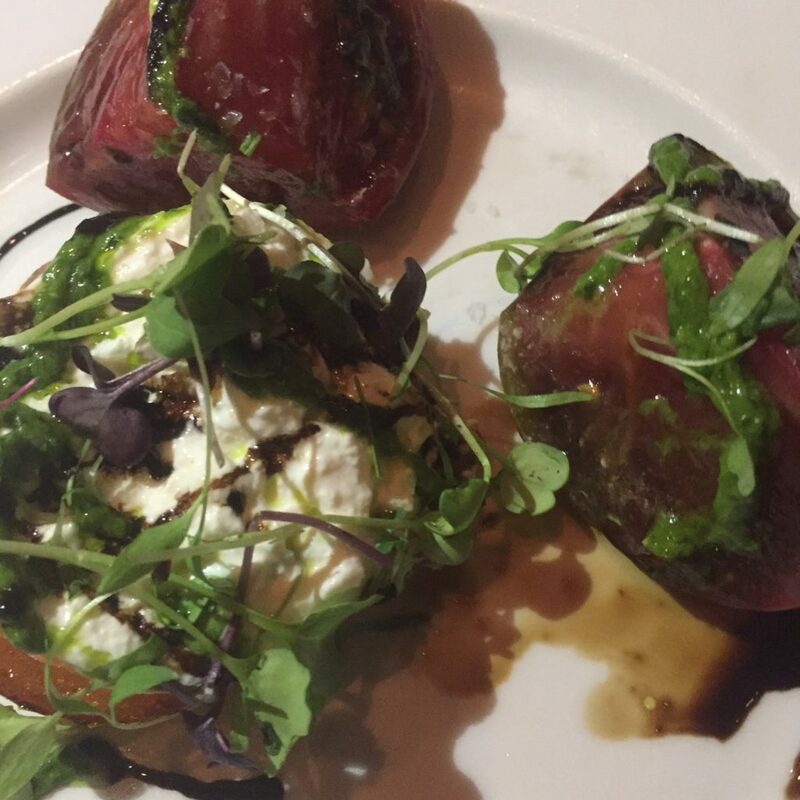 Beth and David selected a wonderful Heirloom Tomato Salad with Scallion Pesto, Mico Basil, dressed with Herb Balsamic ($18). We all went the fish route…OMG, we had so much in common. 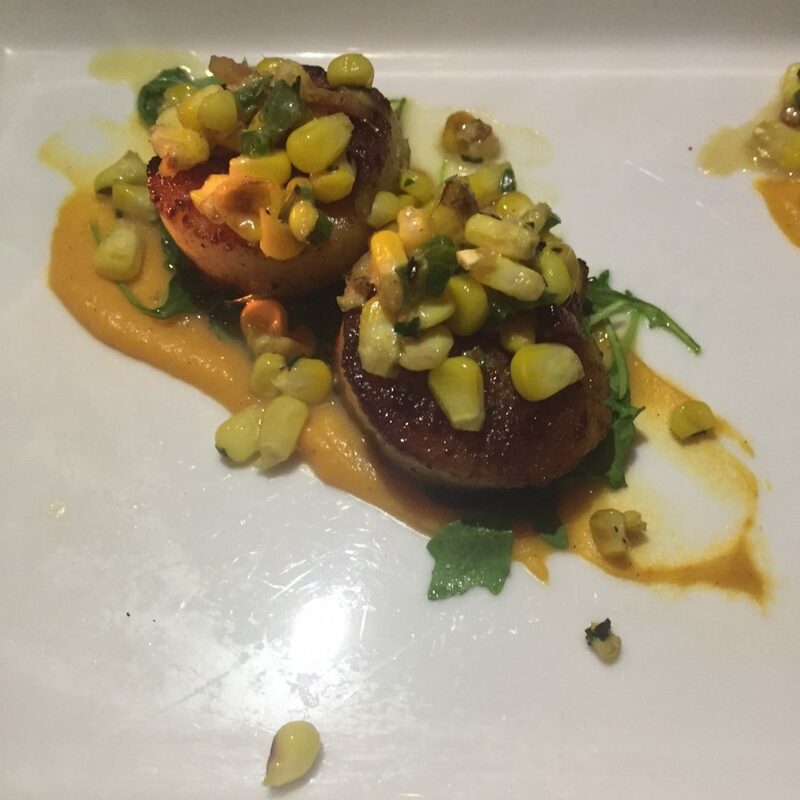 Beth ordered the Sea Scallops with Sweet Potato Mousse and Corn Relish ($34). It was delicious. Her husband, David (the compatibility just never ends as both husbands share the same name…kismet?! ), went with the special, Branzino. 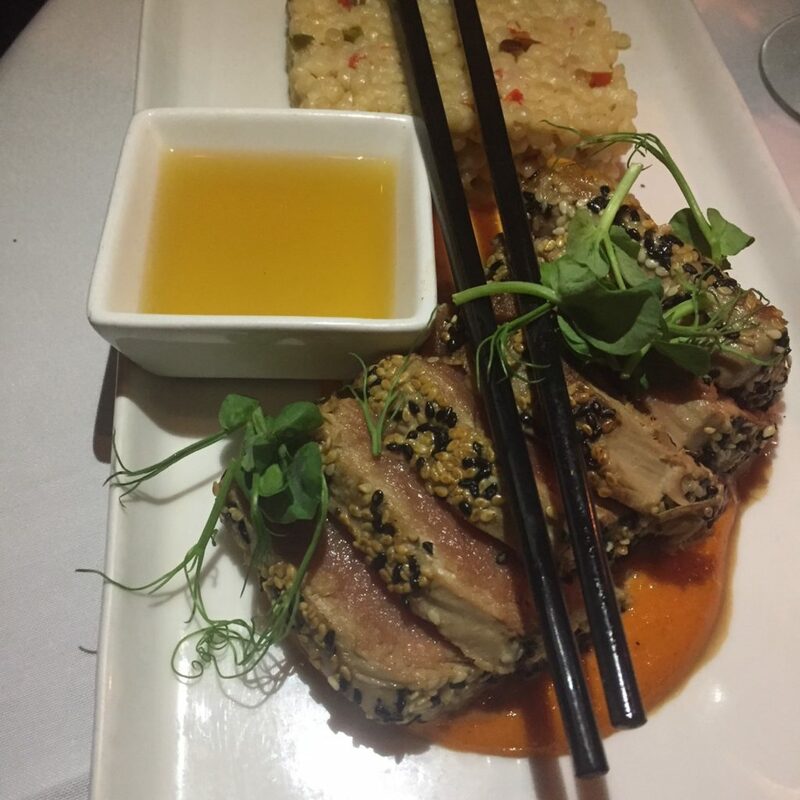 My husband, David and I selected the Ahi Tuna ($36). When the tuna arrived the second most prominent ingredient was pepper and I am allergic. David II, rushed in and saved the day. He offered to switch. A totally selfless act. 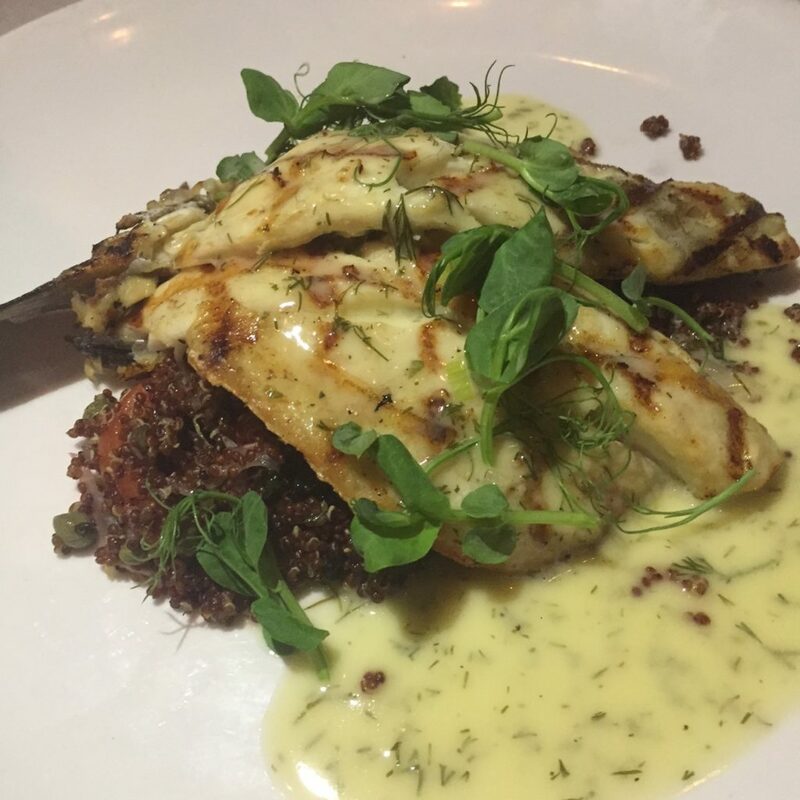 The Branzino was perfect, light, flaky and flavorful. David II embraced the tuna…all was right with the world. We enjoyed a delightful fruit forward Elizabeth Spencer Grenache from Mendocino with a lovely, well balanced finish ($53). 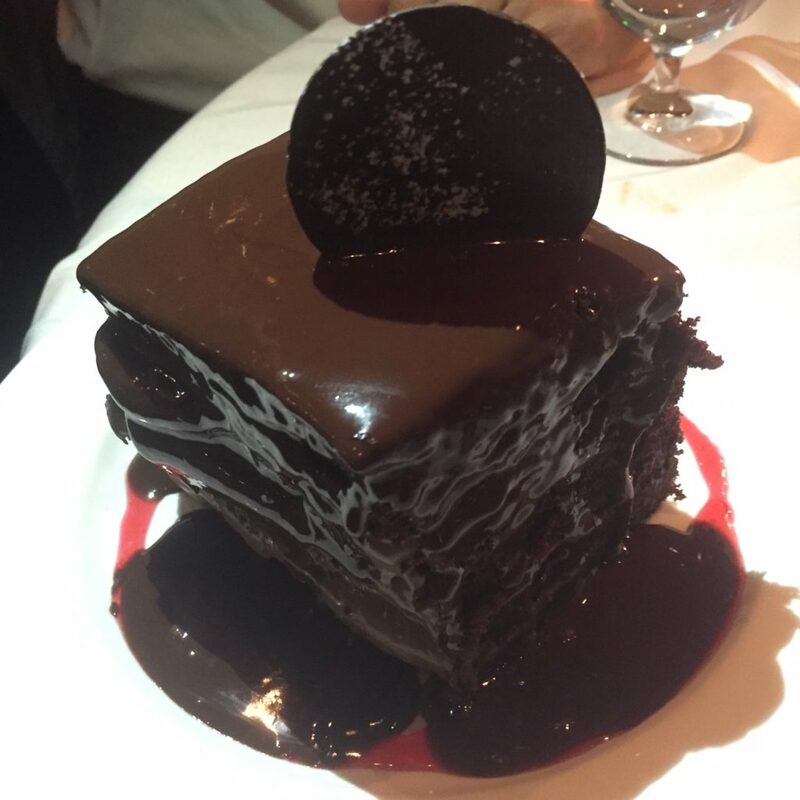 We weren’t ready to call it a night so we were encouraged by Sean, our charming server, to order the multi-layer chocolate cake. My David enjoyed it so much that he shared a piece with his new white Ralph Lauren button down shirt. Three hours later the encounter ended with hugs and kisses and the promise of a meet up in yet another city. Table 26 served up a scrumptious meal…good food is difficult to unearth in the white bread and mayo confines of Palm Beach County. I am indebted to the Devil for turning me onto a wickedly divine new relationship. Table 26 1700 South Dixie Highway West Palm Beach, Florida. Happy Hour daily from 4:30-6:30pm. Dinner Sunday-Wednesday 4:30-10pm, Thursday-Saturday 4:30-11pm. Brunch on Sunday 10:30am-2pm. Reservations on OpenTable.com.